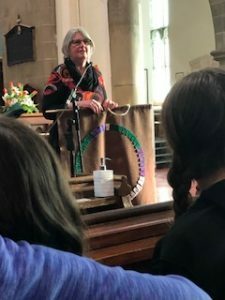 Approximately 30 people gathered at Christ Church Cathedral on Sunday, January 27th to hear the answer to the question “Do I Have to Kneel?” The afternoon session, which was something of an Anglican primer, included presentations by Hank Williams, Cheryl Jacobs and Dean Geoffrey Hall and was hosted by the Christian Formation committee. The first speaker, Hank Williams, gave a brief but interesting overview of the Cathedral structure, the correct names for the different areas of the Cathedral and some of its history. He explained that the term Cathedral is used to denote the Bishop’s church and is the main church of the Diocese. Hank provided lots of dates and places of origin relevant to various items in the Cathedral including the font, windows, lectern and pulpit. Most of these items date back to the mid 1800’s. It was interesting to hear that the Cathedral clock began life as the prototype for the clock at Westminster Abbey and that it dates back to 1854. 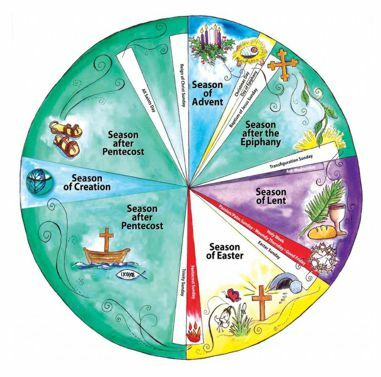 Next up was Cheryl Jacobs who explained the Seasons and Colors of the Anglican Church. 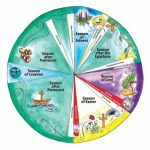 Cheryl used a banner produced for Godly Play to show the purple, red, white and green colors and their accompanying seasons. She explained that hangings in the church are changed to reflect these seasons. Purple is considered the color of kings as well as being representative of prayer and penitence. White is for joy and celebration. Green represents growth and new life and white represents joy and celebration. Epiphany, Christmas and Easter are all represented by white and red, the color of the Spirit represents fire and is used for the Passion, Pentecost and for Christian martyrs. The final presentation was given by Dean Geoffrey Hall. He pointed out that the church calendar walks us through the life of Christ. 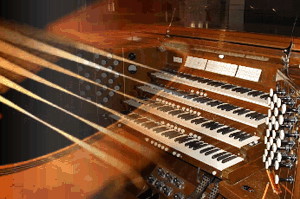 Anglican worship is primarily “liturgical” – liturgy means work of the people. 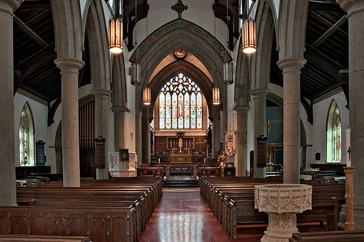 The Anglican church is a product of the Reformation of the 1500’s, when many Protestant denominations were formed. The Anglican church endeavoured to bring balance in worship to word and the sacrament. Read an article about Henry VIII and the Anglican Church. The afternoon was full of Anglican factoids! And yes, an answer to the question “Do I Have to Kneel” was provided. According to Dean Geoffrey, the Book of Common Prayer 1962 (BCP) and the Book of Alternative services (1985), offer “rubrics,” directions which are written in red. 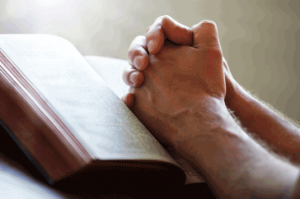 Recommended Prayer Book postures: sit to listen, stand to praise and kneel to pray. The Book of Alternative returns to suggesting, by way of rubric, that we return to an older Christian custom of standing for prayer. While there is always a recommendation that most will follow, its never inappropriate to sit, stand or kneel as any one of those is more possible or comfortable. Lots of other questions regarding the Anglican customs were asked by attendees and interest was shown in more sessions of this nature. If you are interested in participating in the future, please contact a member of the Christian Formation committee or our Christian Formation Director, Kurt Schmidt.